Pet-friendly hotels don’t have to be cheap motels and hotels. Check out the Loews Hotels hotel chain which currently has eighteen luxury pet-friendly properties around the U.S. and Canada. 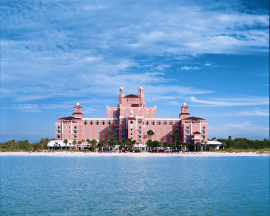 Check out my article about the five Florida Loews Hotels here! Subscribe to my articles so you don’t miss any information about pet travel! For assistance with booking these hotels, or for more info please email me! Next post: Sorry for the technical difficulties!